Whether the medium is video or stills, talented photographers see space in ways others do not. Curt Fissel, our DP at Voices & Visions Productions and JEMGLO Productions, carries this third eye around with him wherever our jobs take us. Sometimes our destination is a corporate video shoot when his task is to transform a boring boardroom into a compelling interview space. Other times it’s in the field shooting footage for an upcoming documentary. Some of the places our projects have taken us are beautiful landscapes, others war-torn, but few places stand out like the Mbale region of Uganda, where we shot Delicious Peace Grows in a Ugandan Coffee Bean. In addition to capturing hundreds of hours of footage in this beautiful Eden, Curt also documented the essence of Ugandan life through his first love: the still photo. Living in the artsy epicenter of Montclair, NJ, he has had the opportunity to show his “Delicious Peace” photo exhibit at several locations, including the Montclair Public Library during African American History Month and Parlor Hair Studio’s wall gallery. 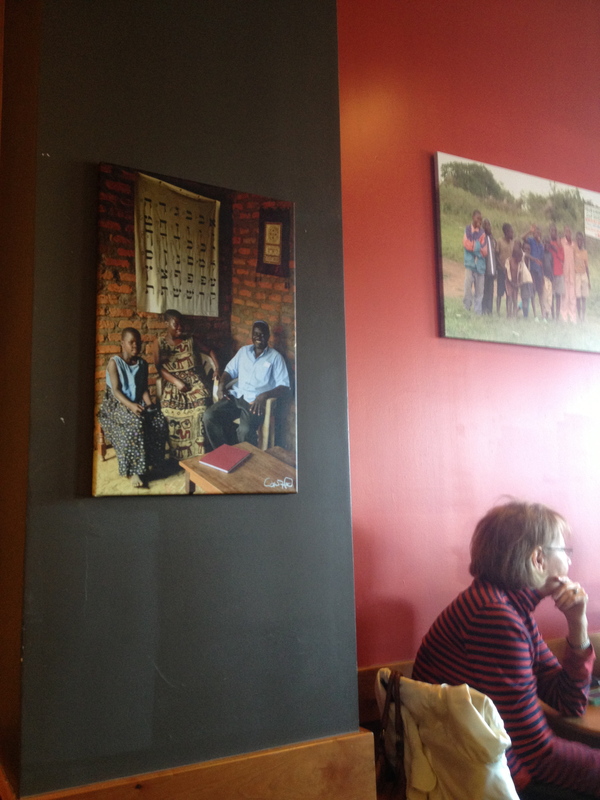 This month the show is at a Starbucks in the next door township of Glen Ridge. The documentary tells the story of the Mirembe Kawomera coffee cooperative in Uganda, which is comprised of Jewish, Muslim and Christian famers. Once at odds with each other over religious differences, these men and women have united by forming the co-op together, focused on building prosperity for their families and fostering peace in their community. Their story is one of triumph; their initiative is a model for the world. 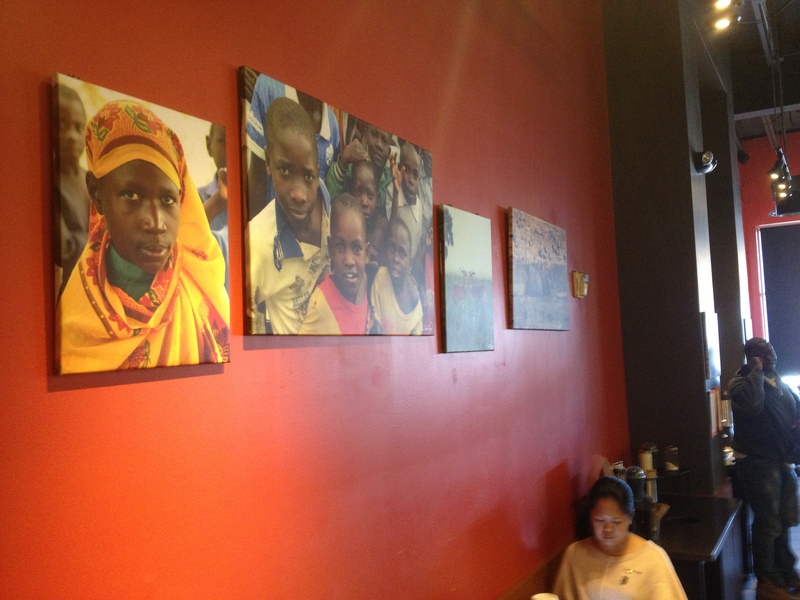 The nature of Starbucks’ business and its corporate philosopahy make it, an appropriate location for this photo exhibition. Curt is very excited about the exhibition being held throughout the month of November, and we hope everyone in the area is able to stop by to see it! The farmers’ story is a message of peace. Our goal is to spread the framework of peace they have created through art, coffee and film. This entry was posted on November 16, 2012 at 2:24 pm and is filed under Documentaries, Enjoy Your Coffee, Uncategorized, video production. You can follow any responses to this entry through the RSS 2.0 feed. You can leave a response, or trackback from your own site.